One of my favorites. 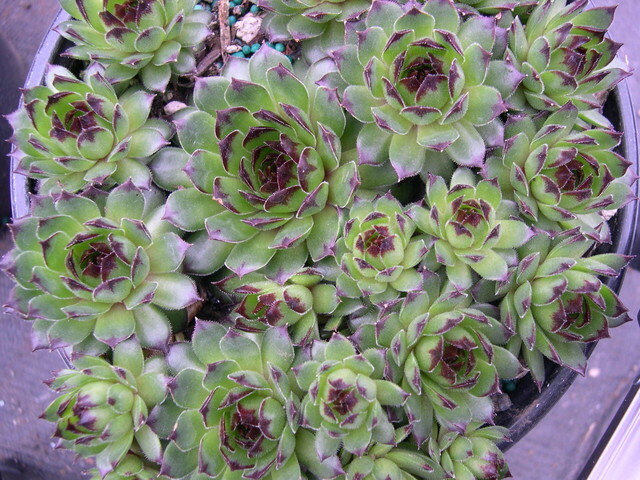 Rosettes are emerald green with contrasting black tips. Small.